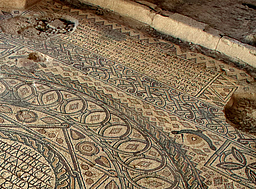 The Madaba Archaeological Park was established to preserve and make accessible to the public archaeological remains from Roman times and several valuable Byzantine mosaic floors. It was opened in 1995 and consists of two sections (more about). 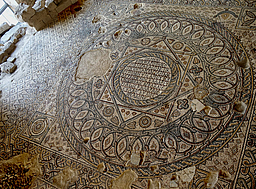 In this eastern section, the oldest mosaic fragment ever found in Jordan is displayed right at the entrance, shown in an exhibition of mosaics from the region. 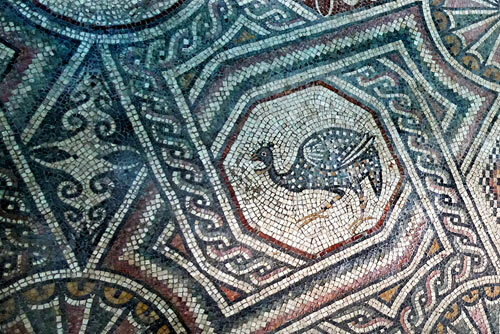 One of the highlights of Jordan's mosaic art is the floor of the Hippolytus Hall, a rare piece that depicts an ancient myth. Together with the ruins of the round Church of the Virgin Mary, it is protected by a stone shelter designed by architect Ammar Khammash. 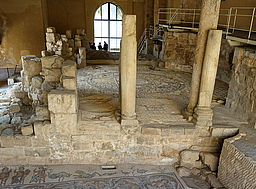 Walking along the preserved portion of a Roman road you reach the mosaics of the Crypt of St. Elianus, as well as the courtyard and buildings of the Madaba Institute for Mosaic Art and Restoration (MIMAR). 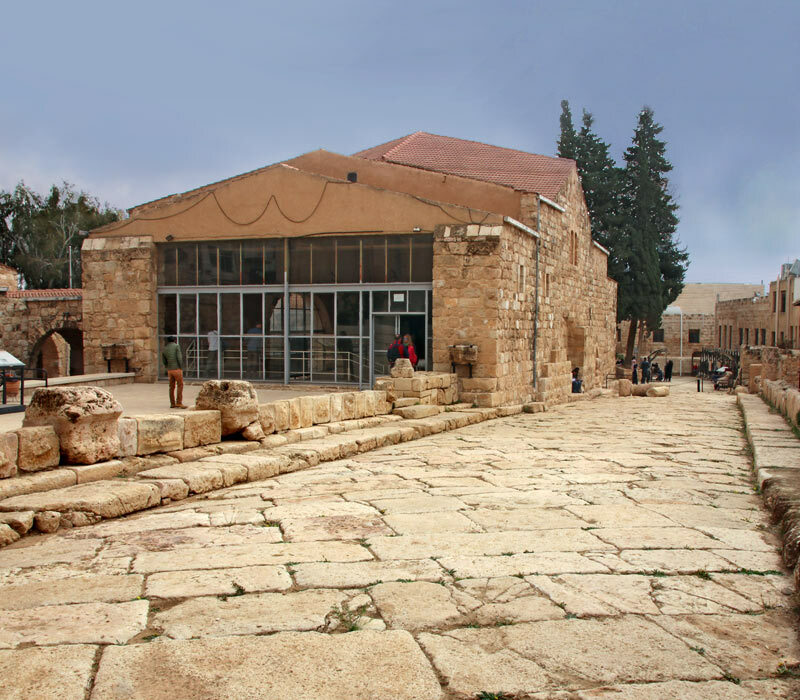 In the historic centre of Madaba, a preserved portion of a road and other ruins from Roman times, some excellent mosaics of the Byzantine era, and several Ottoman buildings have been integrated into an archaeological park, divided in two sections by the Al-Amir Hasan street. The entrance to the larger eastern area is just a few metres from the city's visitor centre. 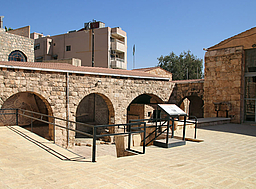 The project was initiated in 1991 by the Ministry of Tourism and Antiquities of Jordan, the American Center of Oriental Research (ACOR) and the United States Agency for International Development (USAID). Extensive excavations, restoration works, as well as the renovation of late Ottoman houses were carried out simultaneously. 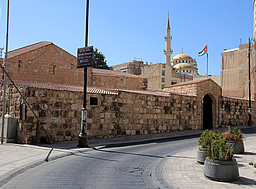 In tune with the historical character of the area, the Jordanian architect Ammar Khammash designed a protection building for the precious mosaics of St. Mary's Church and the Hippolytus Hall. 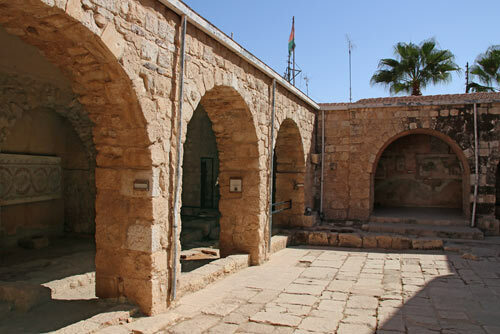 Attached to the shelter is an arcaded open gallery with mosaics from the region on display. 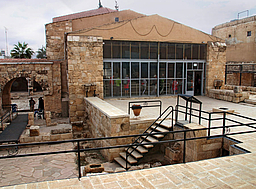 On November 12th November 1995, the Madaba Archaeological Park was officially inaugurated by Queen Noor. 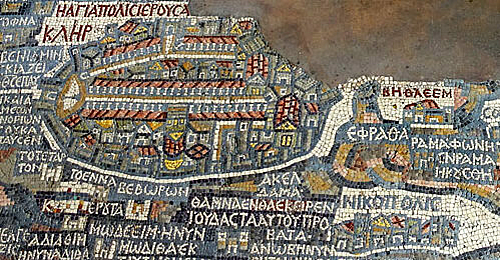 One year later, the Madaba Mosaic School was established at the eastern end of the Roman road, extended in 2007 to become the Madaba Institute for Mosaic Art and Restoration (MIMAR). 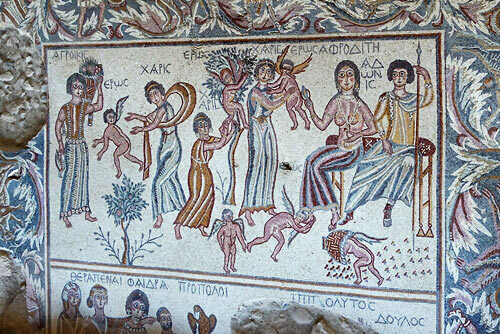 More about the Archaeological Park and the individual mosaics in our informative photo tours. 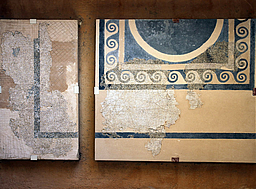 Mosaics from the region, incl. 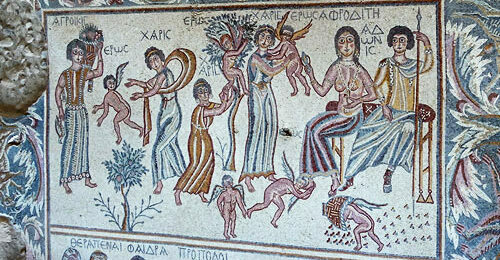 the oldest mosaic found in Jordan from the end of the 1st century B.C. 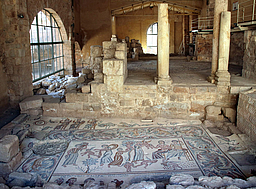 Located under the destroyed Church of the Prophet Elias, decorated with beautiful mosaics from 595/596. 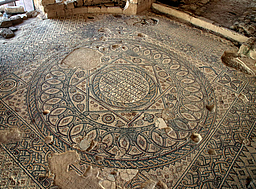 The floor of a villa from the 6th century is unique among Jordan's mosaics. It depicts the ancient myth of Hippolytus. Entrance from Abu Bakr As-Siddiq St. 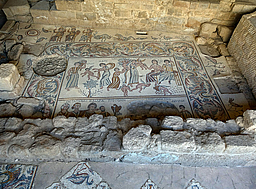 These informative photo tours present some of the main attractions of Madaba, Jordan's City of Mosaics. © Texts and photos are protected by copyright.